Every so often, I get an interesting job that brings my skills as a cartoonist to a design project. 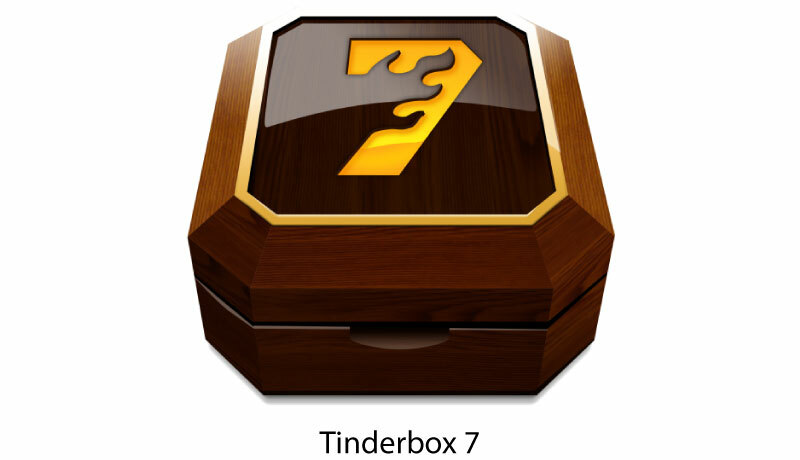 Recently, one such project was modifying the application icon for Tinderbox 7. Tinderbox is incredibly powerful yet easy to use ‘pro’ software for writing, dissecting, structuring and working with complex information, that is used by everyone from novel writers to security data analysts. 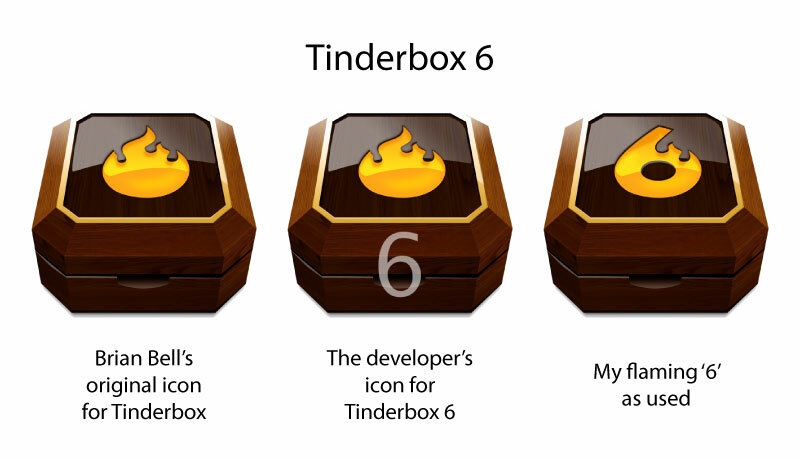 The lovely original icon was designed by Brian Bell, who’s highly regarded in the Mac community for his app icons, but when Tinderbox 6 came out two years ago, Brian wasn't available to revise the icon, so the developer had added a number 6 to it himself. 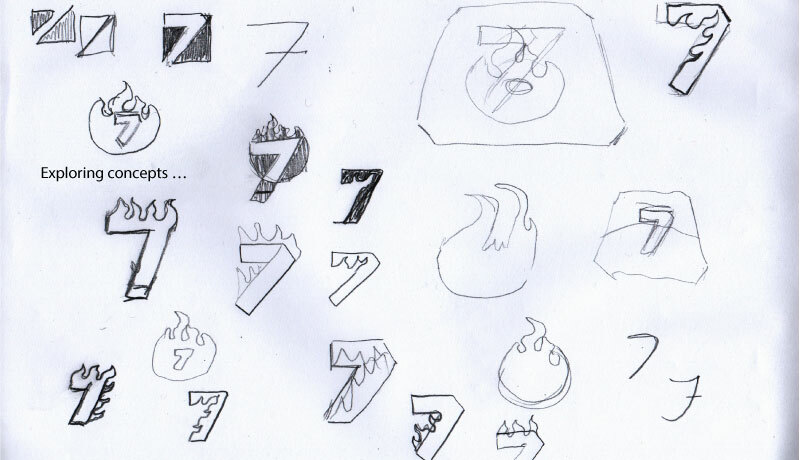 Fast forward two years — Mark was working on Tinderbox 7, and he needed a new flaming number 7. Ah! While the flaming was 6 had seemed obvious, a flaming 7 in the same style wasn’t so immediately apparent. But, after a little doodling I realised that the flame could fit inside the number rather than above it. I’m really happy with the final flaming 7 — it’s kind of nice to sit down to my computer each day and see my work right there in the application dock, adorning software that is so widely and highly regarded. I guess I should start thinking about Tinderbox 8 soon?